Hydraulic presses were patented in 1795, eventually replacing the steam hammer in the metal forge industry. The technology has certainly evolved since then. They are used to make everything from coins to the newest jet aircraft. Over the centuries, this essential technology has revolutionized how machinery is powered. Here are 10 facts you can drop into a slow conversation. #3. Without pressure, there would be no power. The system contains oil that is under intense levels of pressure. That is what produces energy. #4. The space shuttle uses hydraulics on steroids. The pumps installed by NASA in the space shuttle use 3600 RPM, with each potentially holding 3050 PSI. #5. Hydraulics don’t create new energy. What the system does is transform existing already present into a new form. Air pressure pushes the oil through the structure. A common misconception is that the oil is pulled by the system. #7. Unrestricted flow is essential. If the flow within the system is blocked or runs into an opening, the pressure immediately drops. #8. 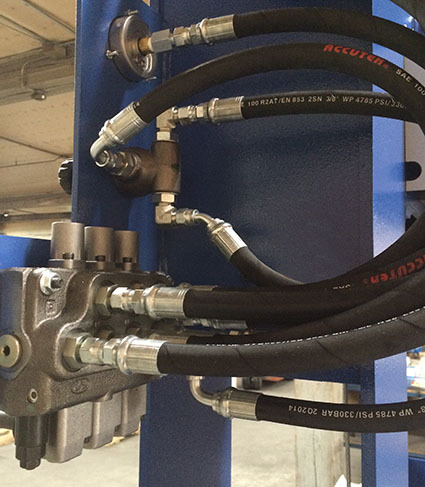 Not all hydraulic systems are made the same. #9. And two types of hydraulics. • Hydrostatics use fluids at low speeds and high pressure to produce power. Think shop press. • Hydrodynamics use fluids at higher speed but lower pressure. Think propeller. #10. Your choice of energy.